Oh, science. Always the perfect companion for things based on comic books and movies in general. There’s a lot of crazy science in the Marvel Cinematic Universe from Tony Stark’s Iron Man armor to just about everything in Asgard and while we accept the bare minimum science logic that goes into these things, it’s still fun to figure out the real world applications. Case in point, would you actually survive riding on top of an arrow if you were the size of an ant? This scientific breakdown comes from the folks over at thescienceof.com, who took the time to analyze the scene in which Ant-Man hitches a ride on one of Hawkeye’s arrows, as seen in one of the Captain America: Civil War trailers. There’s a lot of real science applied in the article as it analyzes the speed the arrow would have been traveling given the amount of distance it had to travel and the force applied to it. They even go so far as to clarify the type of bow Hawkeye is using and its capabilities. All in all, they come to the decision that hitching a ride on an arrow is really cool, but not good for your health. A common (but gross) euphemism for individuals who experience a large acceleration over a short period is that they end up being a ‘bag of soup.’ In this case, with the acceleration experienced by the arrow, anyone attached to it would pass right by the bag of soup stage, go right through paste, and end up as a stain. Again, acceleration is not your friend. So, riding on the arrow would have basically evaporated Ant-Man to dust. It seems Ant-Man has a habit of defying basic laws of science and one can only imagine the toll it's taking on his organs to shrink his body back and forth on the drop of a dime. Plus there’s whatever happened to him in the quantum realm to consider but I suppose modern science hasn’t quite figured out the effects of inter-dimensional travel on a person yet. This article is great and I’m glad Ant-Man wasn’t turned into soup because I want to see him ride even more arrows. The image of Ant-Man on top of Hawkeye’s arrow is something that started back in 1982 during Avengers #223. Hawkeye and Ant Man’s team attack was featured on the cover and it’s been a fan favorite move ever since. Fans have been hoping that they’d be able to see it in live action when it was announced the two characters would both be in Civil War and on the same team no less. The Russo Bros delivered on the action and hopefully they can pair the two again for Avengers: Infinity War. 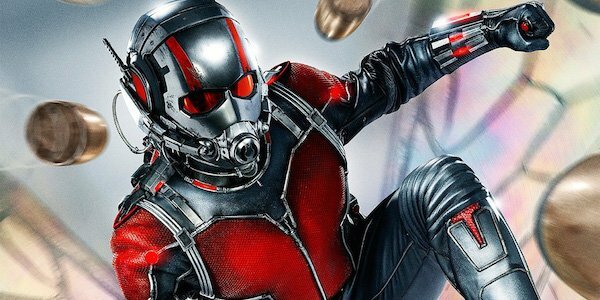 Maybe normal sized Ant-Man could throw a tiny Hawkeye at Thanos? You can see Ant-Man hang ten on an arrow and about a million other cool stuff in Captain America: Civil War, out in theaters right now.